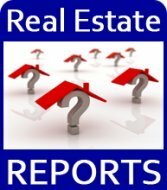 Bradenton Fl Homes For Sale - Prices are down! Bradenton Fl Homes for Sale are generally less expensive than in Sarasota. Prices are down by 25% from their high in 2006. Read on to learn about Bradendon Fl. Condo's and Homes in communities that offer world class amenities such as golf, tennis, pools & clubhouses. Bradenton is the largest city (population 53,662) in Manatee county, a northern neighbor of Sarasota. Other cities in Manatee county include Palmetto, Ellenton, Parrish, Bradenton Beach, Holmes Beach, and Anna Maria. Downtown Bradenton Florida overlooks the Manatee River. It has a downtown cultural center that includes a riverwalk, the South Florida Museum which houses a planetarium and aquarium and a playhouse. Downtown Bradenton is 20 minutes from the beaches which are Bradenton Beach, Holmes Beach and Anna Maria. Bradenton is known as Braden River, Lakewood Ranch, Lakewood Rch, Palma Sola, Trailer Est, Trailer Estates, University Park, University Pk.